What are the Best Tax Saving Investment Options? Every year between January to March, the season of tax saving begins for all individuals. (Salaried as well as non-salaried). Even if your income is below the tax slab, it is vital for you to file an ITR for keeping a good financial record. 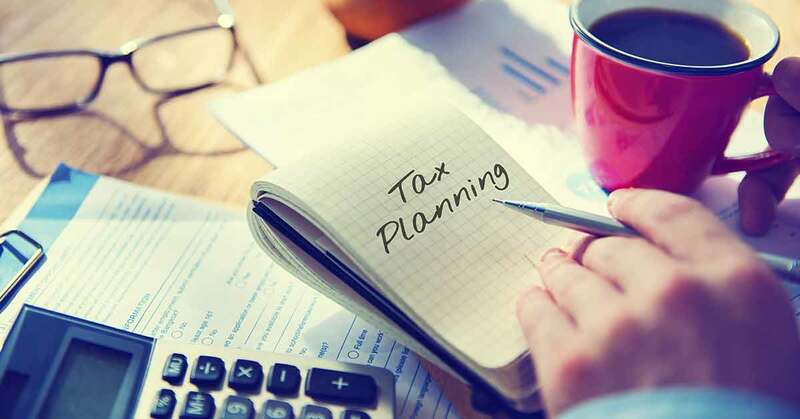 Beginning every financial year, every individual is required to submit their share of investment plans and saving schemes to the tax man for income tax computation. Selecting the right tax saving investment plan or saving scheme depends upon multiple factors such as liquidity, safety, returns, etc. Every investment plan or saving scheme comes under different provisions of the Income Tax Act, 1961. Before you invest in the right plan, make sure you calculate the tax saving amount as well as the tax saving amount on maturity. As a smart investor, you should not only invest in instruments which will help you save tax but also in those which generate tax-free income. Mentioned below are a few investment plans and savings schemes which will help you with the same. Equity Linked Savings Scheme (ELSS) is a type of a tax saving mutual fund which primarily invests in equities and equity-related instruments. This investment plan can be easily distinguished from other mutual funds as it is the only category of mutual funds which come with the dual benefit of tax-saving along with accumulating wealth. Under an ELSS mutual fund, you can avail tax deductions of up to ₹1,50,000 under Sec 80C of the Income Tax, 1961. Also, an ELSS comes with the shortest lock-in period of 3 years. As per the new tax rules mentioned by the government, all mutual funds including ELSS are subject to Long Term Capital Gains (LTCG) as well as Short Term Capital Gains Tax (STCG). The Public Provident Fund has been one of the most popular savings among investors for generations. The reason for such popularity is because it comes with guaranteed returns and the complete amount on maturity is tax-free. You can easily open a PPF account in your name on behalf of a minor with an amount as minimum as ₹500, subject to a maximum amount of ₹1,50,000/- for a single financial year. A PPF account can be easily availed online from the website of any nationalized/private bank. This scheme has a mandatory lock-in period of 15 years which can further be extended for 5 years upon request. A PPF is highly suitable for risk averse investors who prefer passive participation in their investment portfolio. This is a perfect investment plan for the salaried working class. Not only does this plan help you save money but the entire corpus amount is also tax-free. Under this savings scheme, you contribute 12% of your monthly basic savings while your employer contributes an equal share into your EPF account. You also have an option to make a contribution of up to 100% of the basic earnings and Dearness Allowance. This constitutes as VPF or Voluntary Provident Fund. The tax-benefits (deductions of up to ₹1,50,000) of an EPF can be claimed under Sec 80C of the Income Tax Act, 1961. The rate of interest is declared by the government each year and currently stands at 8.55% for FY 2017-18. The interest earned on EPF is exempted from tax provided you stay employed for five continuous years. A combination of investment and insurance, a ULIP scheme provide life cover as well as an opportunity to invest. It is highly suitable for investors looking for a long term investment horizon of more than 10 years. Under a ULIP, a part of your premium is utilised for life cover while the remainder is invested in investment funds. These investment funds range between equity, debt and hybrid and they are personally managed by investment professionals on your behalf. The fund value on exiting the policy and on maturity is completely tax-free and so are the switching options. You need to keep in mind that a ULIP is suitable only for a long term investment horizon, so if you are looking to invest in a ULIP scheme, ensure that it matches your long-term financial goal. Traditional Insurance Plans are of many types. They can be an endowment, moneyback or a whole life plan. These plans come with an option of savings along with a fixed term and fixed term assured. The premium of a traditional insurance policy is calculated on the basis of age at entry, life coverage and the period of coverage. Under this plan, you are required to pay premiums throughout the policy term OR for a specified term. Individuals invested in traditional insurance plans are entitled to Tax-benefits under Sec 80C of the Income Tax Act, 1961. Also, the maturity value/death benefit is completely tax-free as well. This is a small deposit scheme created specifically for the girl child under the ‘Beti Bachao Beti Padhao’ campaign of the Indian government. This account can be opened right post the birth of the girl child till she turns the age of 10 years. The minimum amount of deposit is ₹1,000/- and a maximum amount of ₹1,50,000/- can be deposited during the financial year. The Sukanya Samriddhi Yojana comes with a highest tax-free return of 8.5% per annum with guaranteed returns. Both, the annual contributions as well as maturity benefits are tax-free. As the name suggests, these are Fixed Deposits but they come with a lock-in period of 5 years. These FDs fall under the tax break of Sec 80C on investments of up to ₹1.5 lakhs. You can claim up to ₹1,50,000/- under sec 80C of the Income Tax Act, 1961. Investing in a medical/health insurance plan can help you avail a deduction up to ₹25,000 (₹50,000 for senior citizens) under Sec 80D. You can claim a deduction of up to ₹50,000 on home loan interest under Sec 80EE. Content Specialist and Strategist, foolishly creative and always ready for a game of 'Call of Duty'.